My promise to you; I will always work harder and provide better service than you expect. I will get you to "SOLD"! I will earn your loyalty and will be your real estate consultant for life! We will get you to SOLD! Very satisfied. We used Judy because of our prior knowledge of excellent performance in sales and marketing. Our family was “WOWED” by Judy’s commitment and dedication to our needs and budget. We were buying a home that had previously been in our family and it meant the world to us to own it again. Judy saw to it that we regained possession of this home! We will no doubt call on Judy for her services again! We would tell everyone about our great experience with Judy. She would always return phone calls and emails to keep us informed and she educated us to the entire process and progress of the purchase. Judy went above and beyond what we expected and we don’t feel that she needs to improve on anything! 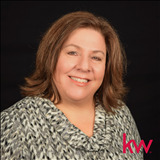 The Scotland Team and Judy Scotland, at Keller Williams Realty North Central, specializing in traditional, waterfront, luxury and distressed properties. We will assist you with all of your real estate needs..............CALL or TEXT The Scotland Team to become one of their premier clients at; 978-833-3881! Oh, by the way...we'll be happy to help your referrals with their real estate needs too!